Arenas del Mar is situated on a cliff with direct access to two pristine sand beaches: Espadilla Beach and Playitas Beach. The property overlooks the spectacular Manuel Antonio National Park (within walking distance). 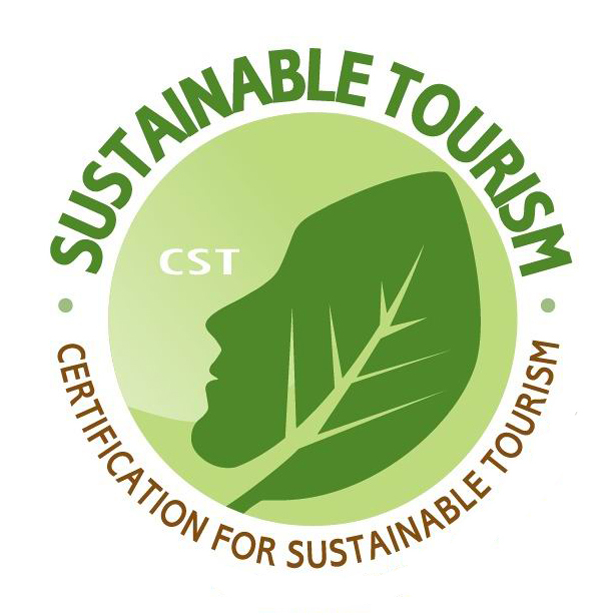 The hotel was built with an ambitious combination of deluxe accommodation coupled with the highest level of certified sustainability. Water is heated with solar panels, and grey water is reused for irrigation. Arenas del Mar rooms offers spectacular views of Manuel Antonio National Park, the Pacific Ocean, and the tropical rainforest. The great advantage of the guest rooms at Arenas Del Mar is that they are located right on the beach and include secluded beach and facility access. Two restaurants (great upscale dining options that give special emphasis on fresh local products and a personalized service), Las Brisas Spa (offers all kinds of relaxing treatments including massages, facials, wraps, scrubs, pedicure and manicure, among others), swimming pool, kids pool, Jacuzzi, laundry service, currency exchange, private parking, internet access (WIFI), babysitter service, beautiful gardens, bar, and gift shop. Arenas del Mar’s Garden Rooms are a great accommodation option for those who wish to stay at the hotel at a value while exploring the Manuel Antonio area. Although smaller than the hotel’s other rooms, Garden Rooms are well-appointed and elegant. Each room features a private bathroom and a king sized bed. These rooms are perfect for couples wanting to spend most of their time enjoying the beaches, pools, and outdoor activities/tours. Amenities: king size bed with 400-thread count, organic cotton linens, air conditioning, ceiling fans, bathroom with shower (including locally made, organic soaps, lotions and shampoos), hair dryers, complimentary WIFI internet access, free local & international calls, wireless phone, 29” flat screen TV with complimentary cable, coffee maker and complimentary local, organic coffee, refrigerator with a complimentary Tico-bar, a mini bar with rotating menu of local snack, laptop-sized safe deposit box, closet space, and daily maid service. Guest rooms at Arenas Del Mar offer stunning views of Manuel Antonio National Park, the Pacific Ocean, secluded beaches, and surrounding rainforests. The concept of eco-luxury is the focus of the hotel’s Ocean View Premium suites, designed to provide the best accommodations in the whole of Costa Rica’s Central Pacific Coast. These rooms are located on the second or third floor of the hotel, and offer spectacular ocean views with the sound of lapping waves below. Each suite features a fully air conditioned bedroom as well as a large living area with ceiling fans and air conditioning. Two bathrooms and a spacious deck with a private hot-tub are also included. The living area is equipped with a pull-out sofa bed for two small children or one adult. From their room, guests can enjoy the spectacular ocean views and unwind to the sound of ocean waves. This type of room is recommended for guests who wish to spend their time relaxing in the comfort of their rooms. Amenities: king size bed with 400-thread count, organic cotton linens, air conditioning, ceiling fans, two spacious bathrooms with showers (including locally made, organic soaps, lotions and shampoos), hair dryers, complimentary WIFI internet access, free local & international calls, wireless phone, 29” flat screen TV with complimentary cable, DVD player, coffee maker and complimentary local, organic coffee, living area with full-sized pull out sofa bed, a kitchenette with dining table and small refrigerator, a mini bar with rotating menu of local snack, laptop-sized safe deposit box, closet space, daily maid service, iPod docking station, viewing deck overlooking the Pacific Ocean and Manuel Antonio National Park (including a tiled hot tub and day bed), living area with full-sized pull out sofa bed, and iron/ironing board. Guest rooms at Arenas Del Mar offer stunning views of Manuel Antonio National Park, the Pacific Ocean, secluded beaches, and surrounding rainforests. Ocean View Superior Rooms have a compact sized air conditioned bedroom, a spacious bathroom, and all the hotel’s standard amenities. The main feature of these rooms is a private deck overlooking the rainforest and beaches, standing directly in the path of refreshing sea breezes. The unobstructed view is spectacular. These rooms are recommended for guests wanting to spend most of their time enjoying the beaches, pools, and outdoor activities/tours. Ocean View Superior Rooms are perfect for couples. Amenities: king size bed with 400-thread count, organic cotton linens, air conditioning, ceiling fans, spacious bathroom with tiled shower (including locally made, organic soaps, lotions and shampoos), hair dryers, complimentary WIFI internet access, free local & international calls, wireless phone, 29” flat screen TV with complimentary cable, DVD player, laptop-sized safe deposit box, closet space, daily maid service, coffee maker and complimentary local, organic coffee, iPod docking station, refrigerator with personalized Tico bar, and covered viewing deck with outdoor kitchenette and sitting área. Guest rooms at Arenas Del Mar offer stunning views of Manuel Antonio National Park, the Pacific Ocean, secluded beaches, and surrounding rainforests. Ocean Breeze Suites offer a view of the ocean filtered through the canopy of the rainforest. These rooms are located on the first, second, and third floors of the hotel. Ocean Breeze Suites feature a fully air-conditioned bedroom with a king sized bed, a spacious bathroom (some suites are equipped with two bathrooms), and a large living area with a full size pull-out sofa. They also feature a covered deck with a private hot tub, the perfect spot to relax, surrounded by the rainforest, the sea breeze, and the sound of ocean waves. Most Ocean Breeze Suites can accommodate up to 3 adults maximum. This type of room is recommended for guests who wish to spend their time relaxing in the comfort of their rooms. Amenities: king size bed with 400-thread count, organic cotton linens, air conditioning, ceiling fans, spacious bathroom with tiled shower (including locally made, organic soaps, lotions and shampoos), hair dryers, complimentary WIFI internet access, free local & international calls, wireless phone, 29” flat screen TV with complimentary cable, laptop-sized safe deposit box, closet space, daily maid service, coffee maker and complimentary local, organic coffee, covered viewing deck (with private hot tub and lounge chairs), spacious living area (with full-sized pull out sofa bed for two small children or one adult), kitchenette with dining table and small refrigerator, and iron/ironing board. Guest rooms at Arenas Del Mar offer stunning views of Manuel Antonio National Park, the Pacific Ocean, secluded beaches, and surrounding rainforests. Ocean Breeze Superior Rooms offer a view of the ocean filtered through the canopy of the rainforest. These rooms are located on the first, second, and third floors of the hotel. Ocean Breeze Superior Rooms feature a fully air-conditioned bedroom with a king sized bed, a spacious bathroom, and a covered viewing deck equipped with a kitchenette and sitting area. This is the perfect spot to relax, surrounded by the rainforest, the sea breeze, and the sound of ocean waves. These rooms are perfect for couples wanting to spend most of their time enjoying the beaches, pools, and outdoor activities/tours. Amenities: king size bed with 400-thread count, organic cotton linens, air conditioning, ceiling fans, bathroom with shower (including locally made, organic soaps, lotions and shampoos), hair dryers, complimentary WIFI internet access, free local & international calls, wireless phone, 29” flat screen TV with complimentary cable, coffee maker and complimentary local, organic coffee, refrigerator with a complimentary Tico-bar, a mini bar with rotating menu of local snack, laptop-sized safe deposit box, closet space, and daily maid service, and a covered viewing deck equipped with a kitchenette and sitting área.